On sale! 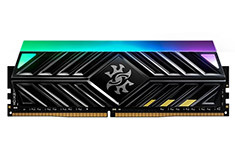 (normally $149) ADATA XPG Spectrix D41 x TUF Gaming RGB AX4U300038G16-SB41 8GB (1x8GB) 3000MHz DDR4. 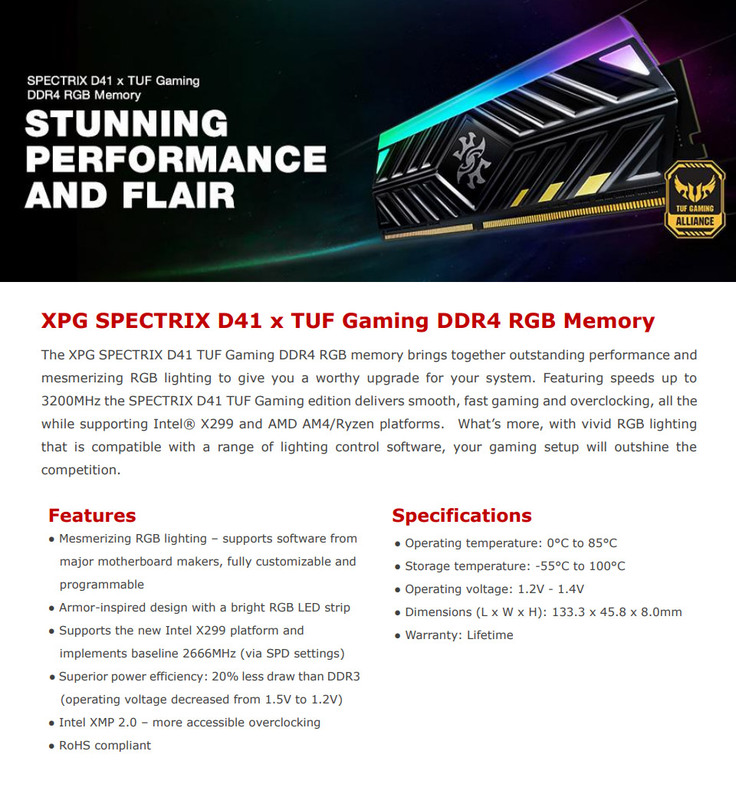 The SPECTRIX D41 TUF Gaming Edition DDR4 RGB memory is TUF Gaming Alliance-certified, which means it has passed rigorous testing to meet the stringent standards of the alliance. While this memory module offers the same great performance and dazzling programmable RGB lighting as the original model, it sports a more combative look via its black heat spreaders with yellow trimming.